Whether you want to protect your porch from the unreliable elements, want to create a porch protected from rain and sunshine for house parties or barbecues, or just want a stylish add-on to your house, the house canopies by Shades Awnings will be perfect for you. Our house canopies come in hundreds of colours and designs, so it’ll complement your house’s design whatever colour it is. We offer a range of fabrics to use, from traditional and acrylic canvas to PVC coated textiles. You can decide on the fabric that seems highly stylish to you and provides great sun and rain protection. Three highly versatile and popular types: wedge canopies, dutch canopies, and dome canopies. Each used in various situations. Fixed or Retractable Canopies, so you can decide if you want them to be a permanent part of your house or just use them when you need to. Do you have ellipse windows or doorways, our custom made dome canopies will fit perfectly and give it a stylish European look. You can even decide to decorate the edges of your canopy with a valance or LED lighting. It means that your porch will be sure to stand out among the other houses. The dome canopy will put a Victorian spin on your house, which is quite en vogue recently. The distinctive quadrant shape of the dutch canopy will stand out, and because it is retractable, you have the choice to let in sunlight or just hide it whenever you feel like it. 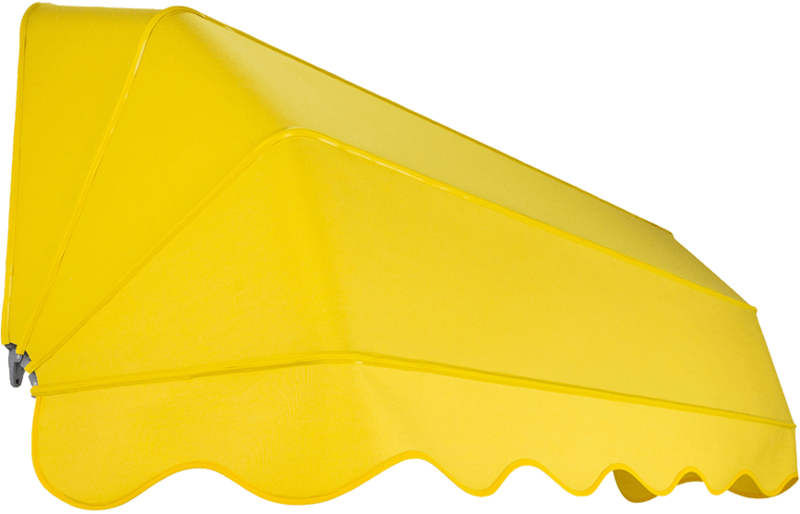 The wedge canopy is simple and well-suited to protect your house from the wind and the rain. Whichever suits you best, you can be sure that each type of canopy is unique and has something special to offer, and they are built with the highest quality materials. Patio canopies are incredibly useful and practical. Whether you are relaxing on your patio or throwing a house party, you can have it in peace protected from the sun, the rain and the wind thanks to our wind-resistant, waterproof house canopies. Thanks to our highly talented design team, you’ll tell us what type of canopy you want, what color do you want it in, and what size it should be, and our team will create a highly detailed mock-up of your dream canopy and use advanced techniques to superimpose it on your house. You’ll be able to make sure the canopy looks just right before you consider purchasing it.